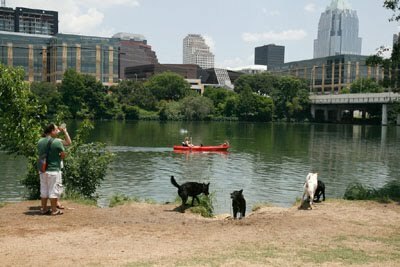 Accompanied by the sound of 2,000 bands and a crowd of more than 100,000 joyous souls, Abigail Smith arrived in Austin last week to take the reins of the city's animal services department. Her timing really couldn't have been heavier with significance and expectations: South by Southwest in town, spring (see: mating season) in the air, and the city still celebrating having reached the coveted 90% live-outcome rate in February, the number commonly agreed upon as the dividing line between no-kill and, well, not no-kill. As anyone familiar with the Austin animal-welfare community knows, Smith is stepping into a whirlwind. Expectations in this already passionate and polarized community have never been higher after last month's live-outcome success. A new shelter is under construction, set to open on Levander Loop in East Austin in the fall. And the city is still in need of a full-time animal behaviorist, the job considered by many to be the most crucial when aiming for no-kill status.